Rosh Hashanah begins this evening at sunset and marks the beginning of the new year for those of Jewish faith. The first of the High Holy Days, Rosh Hashanah is a time to focus on personal renewal. Friends and family will come together to reflect on the past and look forward with optimism to the year ahead. To all those celebrating, we wish you a peaceful and prosperous year ahead. Shanah Tovah! Extreme weather events, volatile commodity markets and proposed tax changes are just some of the challenges farmers face. The GPO is pushing the government reduce the red tape that makes it harder for farmers to innovate and take advantage of new opportunities. Even the Liberal’s pot plan will freeze family farmers out of business opportunities. The GPO is opposed to the Liberal’s plan to monopolize marijuana sales, putting forward a cannabis legalization plan that would benefit local farmers, small businesses and rural economies. “Ontario must loosen the restrictions and red tape that prevents innovation on family farms,” adds Schreiner. 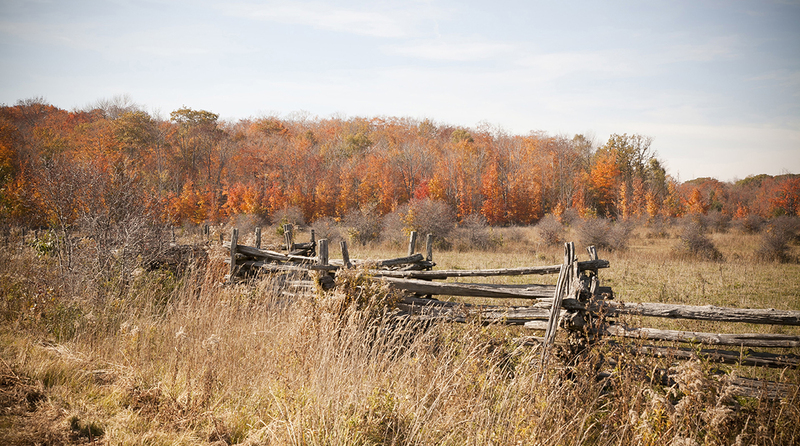 Profitable family farms are key to preserving prime farmland. Ontario is losing farmland at an unsustainable rate of 365 acres per day–equivalent to the size of Toronto each year. 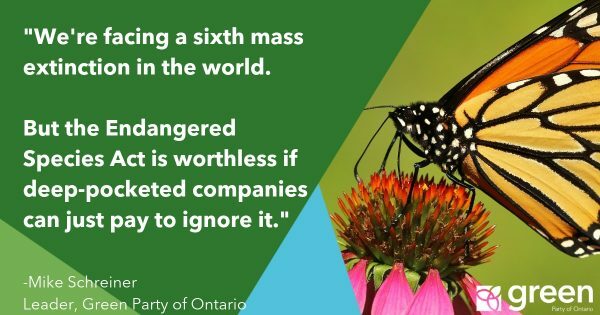 This threatens Ontario’s ability to feed its own people. This is simply wrong. 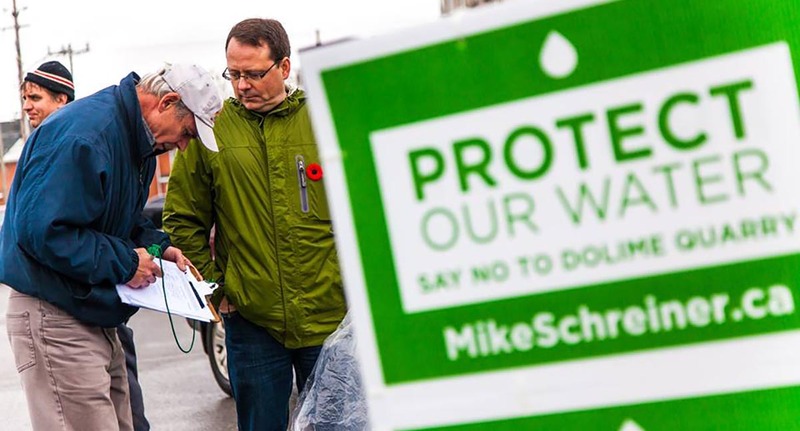 Schreiner issued his annual challenge to the other three party leaders to sign the Food and Water First Pledge to protect prime farmland and source water regions. He’s done this at each International Plowing Match since farmers launched the pledge campaign in 2013. The Food & Water First campaign is a citizen led effort inspired by the anti-mega quarry campaign. The goal is to have provincial law changed so that Class 1 farmland — the most fertile land — is protected in Ontario. Canada’s democracy could use a reboot to make it stronger. Today is International Day of Democracy, a good time to push the Prime Minister to keep his promise to make the 2015 federal election the last under Canada’s outdated electoral system. Likewise, it is a good time to push Ontario’s political parties to support electoral reform in the lead up to the 2018 provincial election. I will be celebrating by hosting a street party in support of Democracy Guelph—a cross-party, non-partisan group of citizens who want all votes to count. Democracy Guelph is working with electoral reform experts who support a form of proportional representation called Local Proportional Representation (LPR). LPR was designed in response to what Canadians told the Special Parliamentary Committee on Electoral Reform and the concerns and conditions expressed by the Prime Minister. LPR is a compromise PR system that reflects Canadian electoral values. In Ontario, the Green Party will continue to support Proportional Representation (PR). We want every vote to count. We want a Legislature that reflects the democratic will of Ontarians. And we want diverse voices that represent all Ontarians at Queen’s Park. People in Ontario are frustrated with the political status quo. They are tired of politicians like Premier Wynne who have 100 percent of the power with only 38 percent of the vote. False majority governments can act like dictators for four years between elections even though a majority of people did not vote for them. This leads to bad policies like moving gas plants, selling off Hydro One and building subway stops that are politically motivated. Unless a party is supported by a majority of voters, PR systems tend to elect minority governments that reflect the democratic will of the voters. Such governments require cooperation and collaboration among parties. They tend to result in more stable, long-term policy directions that are less motivated by political self-interest because of the need to compromise. I believe the people of Ontario want a better, stronger democracy. Today, International Day of Democracy, is a time to celebrate our democratic institutions and to pledge to make them better. (Queen’s Park:) – Ontarians are getting an unfair deal from the scandal-plagued Liberal government at Queen’s Park. Needless transit stops that cost billions and serve developers more than commuters. Another 180% increase in electricity rates to rebuild nuclear plants to generate power Ontario doesn’t need. Increasing threats to our drinking water. That’s why the Green Party plans to hold all parties at Queen’s Park to account on these issues in the fall sitting of the Legislature. 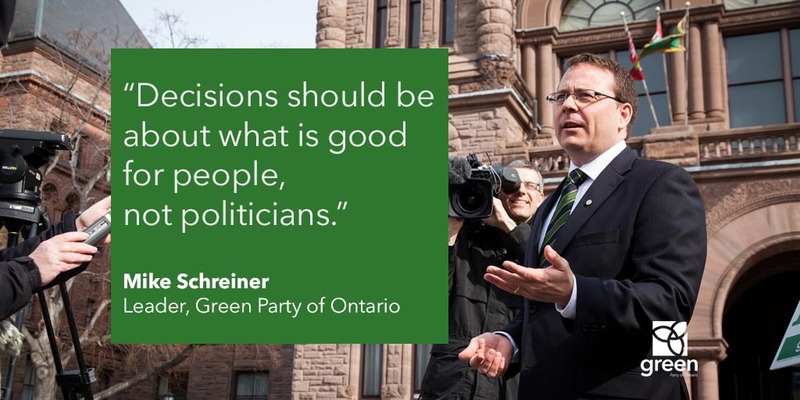 “Government decisions should be about what is good for people, not politicians,” says Green Party of Ontario Leader Mike Schreiner. Stop giving the nuclear industry billions of dollars to generate surplus power. Just say no. The government must turn down the 180% electricity price increase requested by the nuclear industry. Instead, the GPO supports investments in people’s homes and businesses to save money by saving energy. Stronger protections for drinking water. Public drinking water for people and communities must the province’s top priority when issuing water taking permits. We also need stronger protections against industrial activities in source water regions and water taking fees that cover the cost of sustainable water management. Protecting workers and middle class families from rising levels of inequality. Dreams of owning a home, having a stable job and a high quality of life are getting further away. Greens will push the government to raise social assistance rates, build transit that works for people and implement innovative solutions so people and families can afford a home. Guelph’s drinking water is under threat. Activities at the River Valley Development’s (RVD) quarry, or Dolime Quarry as it’s known in Guelph, put the quality and quantity of local drinking water at risk. The City of Guelph has repeatedly asked the provincial government for action on this issue. I sincerely hope you can provide a new set of eyes on this file. The people of Guelph deserve to have the city’s water supply protected. Since 2003, the City has sent letters to your Ministry raising concerns about the quarry’s threat to the quality and quantity of Guelph’s water supply. In February of 2009, a technical committee with experts from the Ministry of Natural Resources (MNR), Ministry of Environment (MOE), RVD, and the City concluded that quarry operations had created an environmental risk to Guelph’s water supply. On February 11, 2013 the City filed an application for a Leave to Appeal the amended Permit to Take Water (PTTW) for RVD’s Dolime Quarry. Ongoing negotiations have not resolved this matter. Thousands of Guelph residents have signed a petition calling on the province to protect our city’s water supply. In an unusual show of cross party cooperation all four of the major party candidates in the 2014 provincial election came together to support the City’s efforts to protect Guelph’s water. Yet, RVD’s Dolime Quarry continues to threaten the quality and quantity of Guelph’s drinking water. 4. Put in place financial assurances and legally enforceable requirements so that the quarry owner – rather than Guelph ratepayers – pays for long-term mitigation costs related to the quarry’s operation. The City of Guelph’s conditions are reasonable and deserve action from your ministry. The people of Guelph need to know that when they turn the taps on clean water will flow. The MOECC has failed to show leadership on this file to date. As a relatively new Minister at MOECC, I’m asking you to step up. The people of Guelph deserve action. We now have an opportunity to fix this. The current permit, which the City opposed, is set to expire at the end of this year. Negotiations to address the City’s concerns have failed to date. It is time for your Ministry to do the right thing — implement the four conditions requested by the City of Guelph. Minister, I appreciate your consideration of my concerns regarding the threat posed to the quality and quantity of Guelph’s water supply by the activities of RVD’s Dolime Quarry. I urge you to act now. I’m available to discuss this matter in person if you would like to schedule a meeting. Sign our petition to protect Guelph’s water from the Dolime Quarry here. On this Labour Day, we pay tribute to the people who have worked hard to fight for strong rights, fair wages and safe workplaces for workers in this province. We are fortunate to live in a province and country where our laws protect us and ensure a safe workplace with fair wages. However, there is still work to be done. We must continue to build on the labour movement’s efforts to defend workers’ rights and ensure that we create quality full-time jobs in Ontario with living wages. Greens support a minimum wage hike to $15 per hour and fairer taxation for both workers and small businesses. We want to ensure that the implementation of a living wages benefits all workers, does not lead to job losses or a reduction in hours for workers. A living wages should benefit workers and employers. Greens also support efforts to reduce the rising trend of precarious and part-time work. 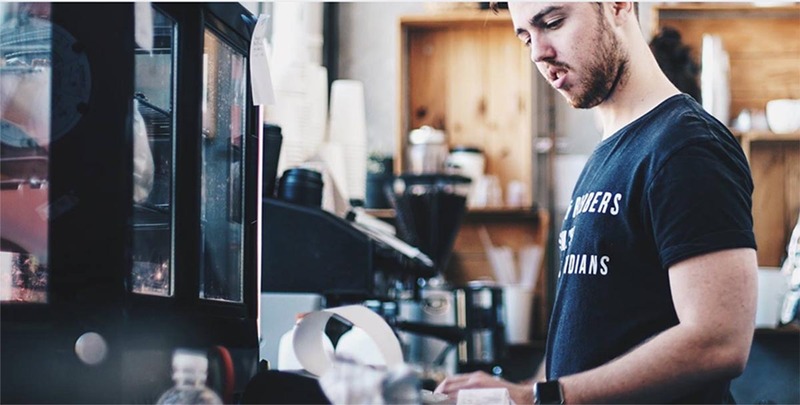 We urge the government to provide stronger protections for employees who work irregular hours and for temporary and seasonal workers. Greens also support efforts to make it easier for workers to unionize and the right to bargain. Stronger unionization efforts is a step toward reversing the rising levels of income inequality in Ontario. The GPO is committed to working for a more responsible and just economy that protects, promotes, and respects all workers. Greens will continue to work hard to foster a prosperous economy that defends the people and places we love in Ontario. This evening, Muslims in Ontario and around the world come together to celebrate Eid al-Adha. For many, this day marks the pilgrimage to the holy city of Mecca to take part in prayers. This occasion is also an opportunity for the Muslim community to gather together to celebrate with family and friends. The central tenants of Eid al-Adha, are values that unite all people – those of charity, peace, and compassion. 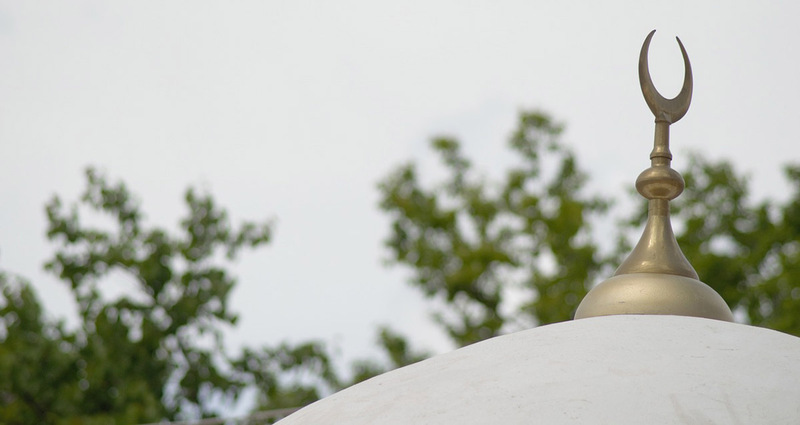 It is a reminder of the sacred bond that unites us all as human beings. On behalf of the Green Party of Ontario, we wish everyone celebrating a joyous Eid al-Adha. I’m deeply concerned with the proposed Near Surface Disposal Facility (NSDF) at the Canadian Nuclear Laboratories Site in Deep River, Ontario (CEAR Reference # 80122). Citizens, businesses and community groups are concerned that the proposed site is being fast-tracked for approval despite the fact that it does not meet safety standards established by the International Atomic Energy Agency. A number of retired scientists from Atomic Energy of Canada Limited (AECL) are critical of the plan. Concerns with the plan include an unsuitable location next to wetlands that drain into the Ottawa River and the use of inadequate technology. In addition, the proposal does not meet regulatory requirements with respect to the health and safety of people and the protection of the environment. Some experts have raised concerns that the NSDF proposal fails to fulfill all requirements set out in the Canadian Environmental Assessment Act for public consultation and assessment of alternatives. This plan threatens the quality of drinking water for millions of people who live downstream. Government has a responsibility to ensure that people’s health and drinking water are protected. Given the many concerns regarding the NSDF, I urge the CNSC to deny the proposal at this time. I urge you to send this proposal back to the drawing board so that our health, water and environment are protected for present and future generations. (Ottawa): “Municipalities need more power and autonomy to address 21st century challenges,” says GPO leader Mike Schreiner while attending the Association of Municipalities of Ontario conference in Ottawa. The Green Party supports providing municipalities with more flexibility, autonomy and tools. Schreiner believes cities need more flexibility to close the infrastructure gap and fund services while reducing the tax burden on municipal property tax payers. 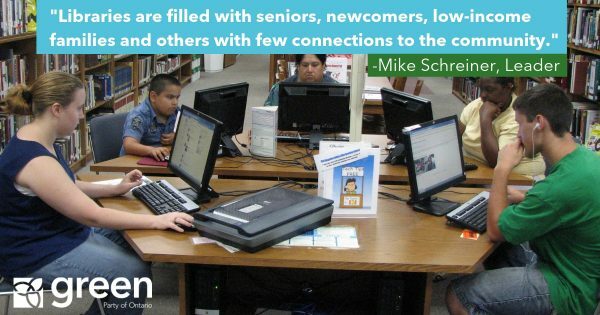 Schreiner supports giving cities the power to implement revenue tools such as congestion charges on city roads to reduce gridlock and pay for infrastructure. Cities need more autonomy to address infrastructure, transportation and housing challenges according to the Greens. Schreiner is also calling for municipalities to have more power when the province issues water taking permits. The GPO supports managing water as a public trust in the the public interest. Greens are calling on the government to prioritize public drinking water for municipalities over other users when issuing permits to take water.